Cambs/Hunts Over 60s sportingly conceded their National Vets knockout cup tie to Somerset this week. The match was due to take place in the West Country on Tuesday, but was called off on Monday because of heavy rain. 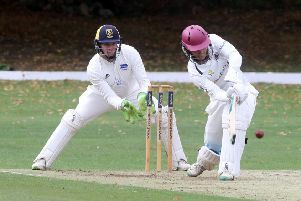 Cambs/Hunts manager Pat Ringham explained: “As we are unable to arrange another day to play at such short notice, we have agreed that the higher seeded side (Somerset were seeded 3 and Cambs/Hunts were seeded 14) should go through rather than toss a coin. The second team are still in their knockout cup. Their scheduled quarter-final against Sussex at Clare College, Cambridge was also called off. They will now play the tie on Wednesday, September 2 with either a KO Cup or Plate semi-final to follow at Wisbech Town CC on Tuesday, September 8. Both teams have enjoyed outstanding seasons with the second XI winning a group that also included mighty Yorkshire.